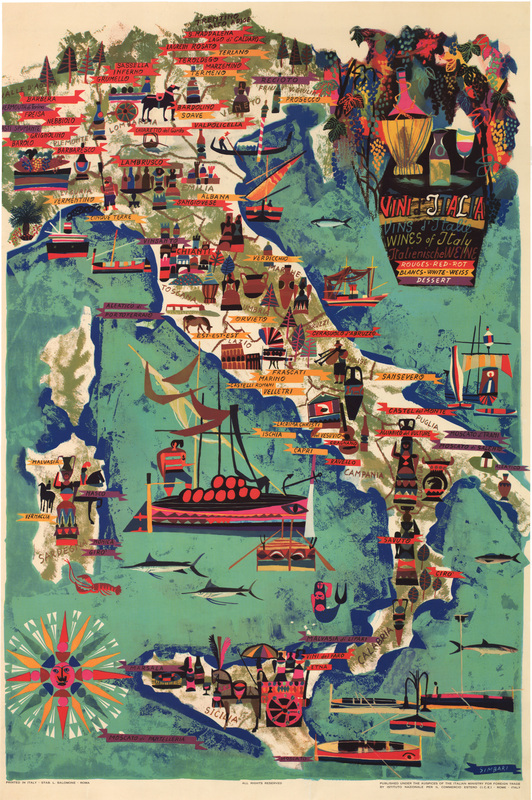 This marvelous brightly-colored poster map was created by Nicola Simbari, one of Italy’s most important modern artists. Published by the Italian Ministry for Foreign Trade, it is a splendid advertisement for Italy’s myriad world-class wines, with each region noted for the wine which it produces. Condition: This linen backed poster map is in A condition.